Just as the world can be both organic and geometric, so too can art. Turn a bunch of rabbits loose among figures drawn from Nature and you have disorder amid order as well. 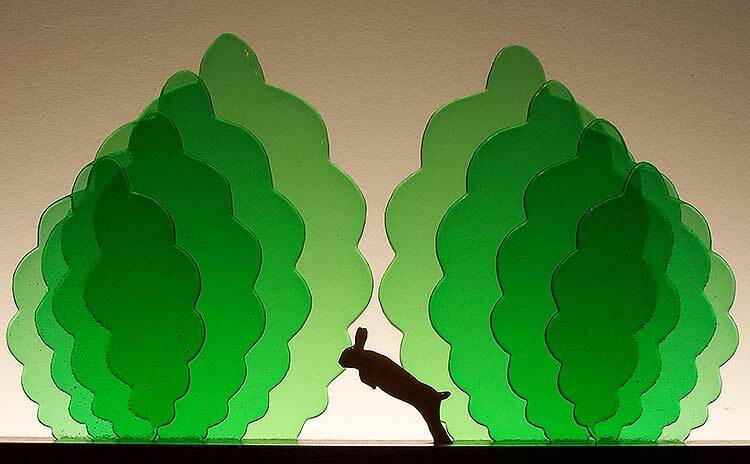 Like all glasscapes, this interactive sculpture is illuminated day or night by a light, recessed into the rear of the hardwood base, which reflects off the wall behind. Dimensions: 42" long by 8" deep by 11" high.